The internet last night was a happy place and Virat Kohli and Anushka Sharma are two people who deserve all the credits. Giving their love story a perfectly happy ending, everyone’s beloved Virushka became one. Virat and Anushka married according to Hindu rites, said a statement released on behalf of the actress. The wedding venue was a countryside resort in Tuscany where security had been massively stepped up for the nuptials. While very few close ones were present to attend the ceremonies, the videos, and photos that have flooded our timelines prove that it was a magical affair. Both bride and groom were dressed in Sabyasachi. Anushka’s wedding lehenga was pale pink with silver-gold embroidery. Virat’s ivory raw silk sherwani was embroidered in a vintage pattern. 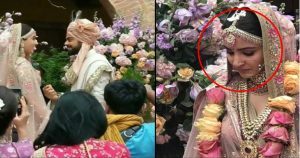 Sabyasachi also posted pictures of the Mehendi, with Anushka wearing a brightly colored lehenga in pink, orange, and teal. 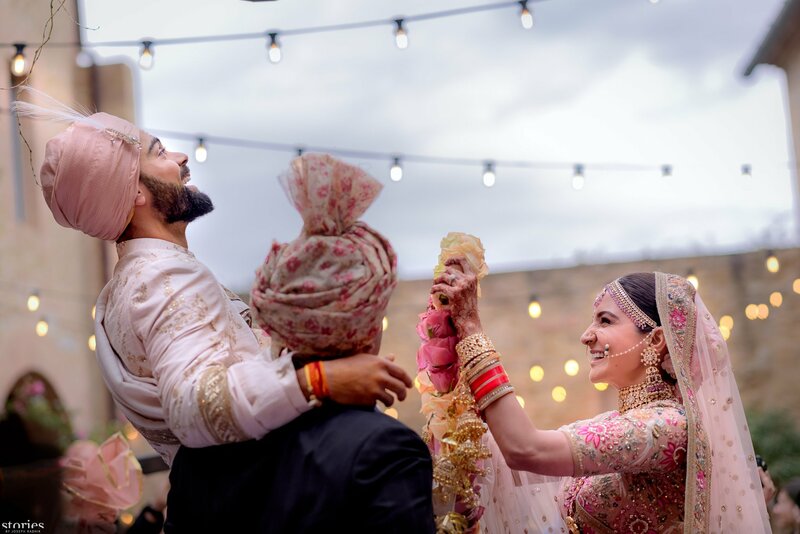 So, when it’s ‘the perfect Virushka’, nothing can go wrong, and that’s what our Cheeku, Virat, ensured in his wedding. What he did for his lady-love is every girl’s dream come true! 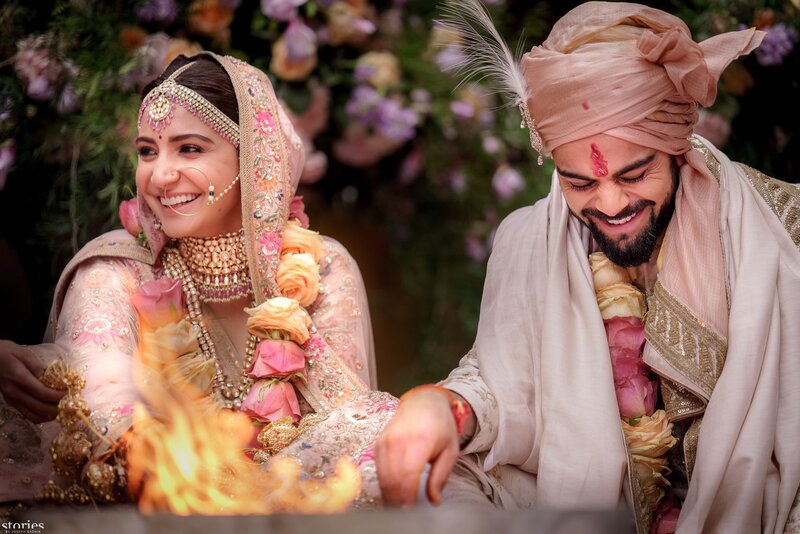 Now reports that are buzzing on the internet claim that Virat Kohli took a good amount of time to finalize the wedding ring for Anushka Sharma. He took 3 months to make sure he picks the perfect ring for Anushka. The design is unimaginably beautiful and reflects surprising elements, every time you see it from different angles. It costs about Rs 1 crore but it’s totally worth the money because whoever will see it, definitely wouldn’t be able to take their eyes off it. Hours after their marriage, Twitter was flooded with photos, and it goes without saying the couple looks radiant and happy, as they prepare to set forth into a new life. Virat Kohli sang a song for Anushka and not just any song. It’s the oh-so-romantic ‘Mere Mehboob Qayamat Hogi’ and the video will warm your heart to the core. One of the best videos was the Bidaai video. 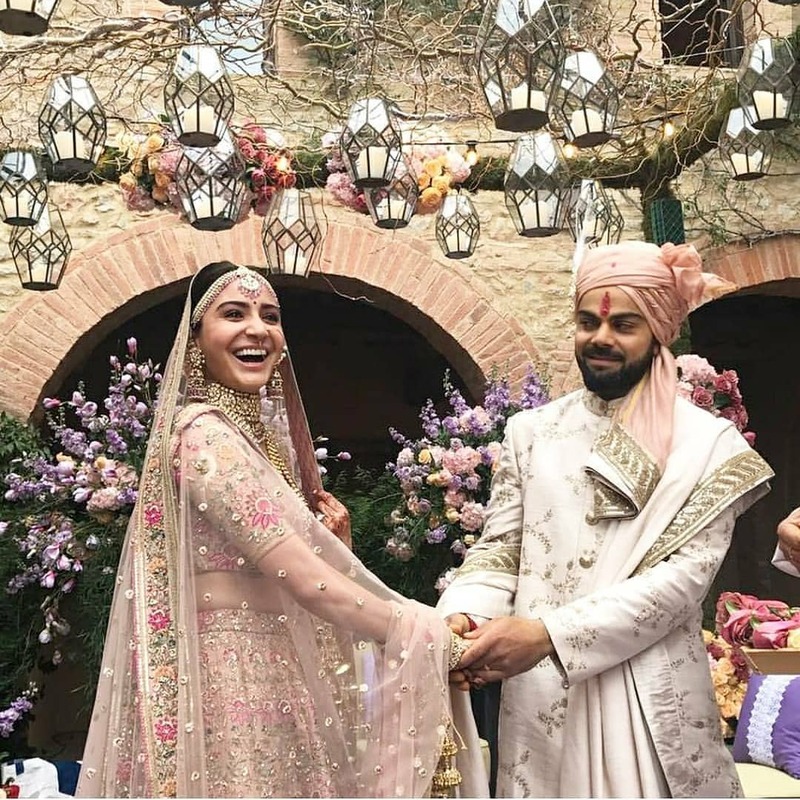 The newlyweds walk together and it’s clear that Anushka is overwhelmed with emotion. Before the wedding, the couple had an engagement ceremony, haldi, and Mehendi, where we can see them clearly having the time of their lives. Virat and Anushka are the favorite lovebirds of Tinsel Town. Owing to their adorable photos on Instagram, their fans like to call them “Virushka”. Now, the couple is all set to head to South Africa, where they will spend New Year’s Eve as well.